Have you ever thought of adopting a new kitty? Make him/her a new house, buy him some new toys to keep them from getting bored, and find a reliable vet. There’s a lot of interesting things to do. But having a new four-legged friend also means facing a lot of different concerns. For example, a new cat won’t eat or drink. Some might find it normal if their pets refuse food or drink. But a refusal to eat or drink is especially dangerous for cats. Why won’t your cat eat or drink? Some little changes in their surroundings, their daily food, or even their feeding routines can be a reason why they to refuse to eat or drink. Why do your cats still say no if you strive to provide them with the best food, best house, and best toys? Other behavioral reasons to take into consideration are stress, depression, anxiety, and even some environmental stressors, for example, the presence of your guests and different furry friends in your home. Behavioral reasons may result in food avoidance in your cats for a short time. But for a longer time, it might be a sign of some worse cases. Sometimes, the reason why your cats feel sick and refuse to eat or drink is due to part of their digestive system that cannot perfectly perform its function. Their digestive system can get worse when they eat food not specifically designed with cats in mind. Chocolate, tea, alcohol, soft drinks, cheese, milk, and raw food, etc. can affect their digestive system and even make them vomit, suffer from diarrhea, or lose their appetite. Don’t use these words like spoiled, fastidious, or picky to tell about your cat’s food refusal. This refusal may be the sign of a lot of much more serious potential causes such as pancreatitis, cancer, cat flu, hyperthyroidism, kidney disease, fever, and dental infections. 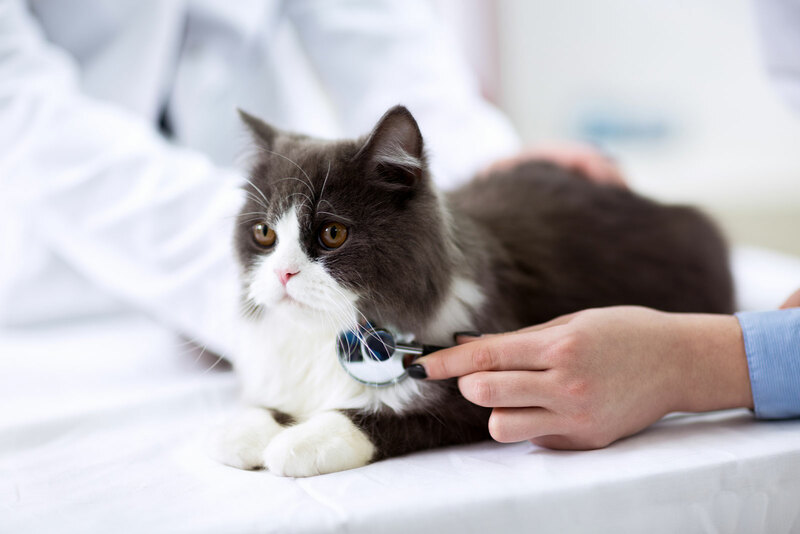 Regardless of the potential causes, right after realizing any unexpected loss of appetite in your furry friends, you should be having an appointment with your vet as soon as possible. You’ve got a cat who won't eat on your hands but you just do not know how to help him/her? That’s why we’re here to give you some advice on “What to do when your new cats won’t eat or drink”? Your worries about your cats’ eating and drinking will be eased only when you find out exactly what can be the cause of their unexplained hunger strike and the effective way to handle it. It can be pretty alarming if your cats refuse to eat or drink. However, if your beloved four-legged friends go on brief hunger strikes due to behavioral reasons, there’s not much to worry about. But keep in mind that your cats’ health is threatened if it is the underlying reason that needs determining. In case you think that your cat has eaten poisonous food or food not made with cats in mind, my advice is to try your best to specify how much he/she might have had. And asking your veterinarian for a piece of specific advice is not a bad idea. In several cases, small quantities may not demand urgent treatment but larger quantities may result in such a serious problem. Adding something tasty with a pleasant smell like grated cheese or delicious food additives and supplement made with cats in mind, usually made of tuna to make it more appealing. These delicious yet healthy food additives and supplement can balance your cat’s food nutrition – the key to their health condition and their quality of life. The higher the temperatures are, the faster the particles move. That’s the laws of physics that we all know. And it is also true when it comes to the disappearance of smell. As the strength of your cat's sense of smell is 12 times more than ours, they are really sensitive to food smells. Therefore, heating the cat food up to about body temperature can make it more attractive to your cat. In order to stimulate your four-legged’s appetite, some medications can be prescribed by your veterinarian apart from treating the underlying disease for cats not eating or drinking. It is your vet that can be able to give you good advice and make your cats feel much better. When Should You Take Your Cat To Your Vet? Regardless of your cats’ health conditions, food and drink refusal can have a negative impact on them. If your furry friend goes more than 24 hours or more without eating or drinking anything, it’s high time to contact your nearest vet. Your lovely feline creatures deserve a happy time playing with their friends and being exposed to a lot of different exciting outdoor activities. But if they were not in a good health condition, all they can do is stay indoors all day long. Pay attention to every single change in their behaviors and immediately take them to your vets when necessary. Above are some of our suggestions to solve the issue of a new cat won’t eat or drink– which can be cause for concern for any pet parents. You can more information about what cats should eat or shouldn't at our Cat - Lovers site.